Stakeholder after stakeholder has raised concerns that the Department of Health and Human Services’ proposed International Pricing Index (IPI) Model would put patient access to medicines in Medicare Part B at risk – medicines that are necessary to treat complex conditions like cancer, rheumatoid arthritis and autoimmune diseases. One of the most common concerns is that patients in the United States will experience the same access restrictions that patients face abroad if the U.S. government proceeds with copying the flawed pricing practices of foreign governments. Recently, IHS Markit released a study that shows the effect that reduced access to medicines has on patient outcomes. 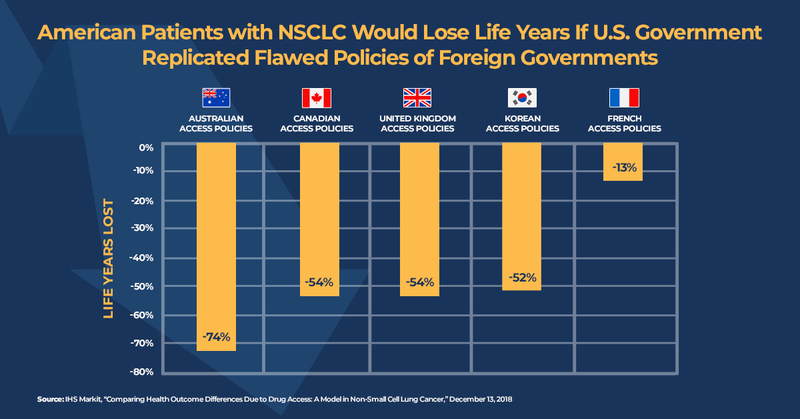 As a chorus of groups has stated, it is likely we will see similar harm to patient access and outcomes in the United States if the proposed IPI model moves forward.